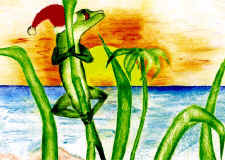 Tropical Holiday Cards designed by students in the Virgin Islands. Year round blank notecards also available. Fundraising is very important to our sustainability. It's your way of helping us so that we can continue helping the kids in our community who need our programs. We welcome donations throughout the year and invite and encourage you to support our work by participating in our fundraisers described below. Cooking classes with your favorite St Croix chefs. Introduced in 1994 and held annually since 2004. Grab a friend and sign up now for an upcoming class. Our annual fund drive held late November through late February each year since 2003. A challenge Grantee matches donations from our friends in the community, penny for penny....up to $25,000. Annual Fundraisers for Virgin Islands Volunteer Advocates for Children, Inc.
Held at Buccaneer Resort and Tennis Club. Women, Men, and Mixed doubles. Fun, food, and friends get together for four or five days of great tennis.